Recycle Old Pins and Brooches Into Exciting New Jewelry! 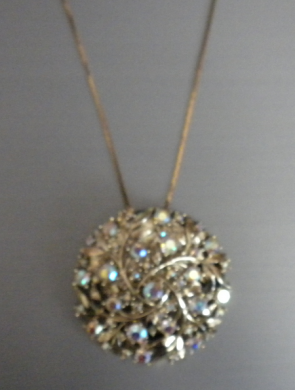 Have you ever looked at an old pin or brooch and thought how nice it would look as a pendant on a neck chain? 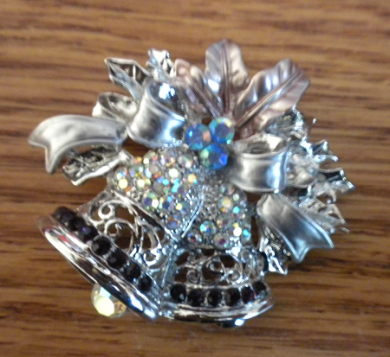 You can actually turn most brooches into pendants. 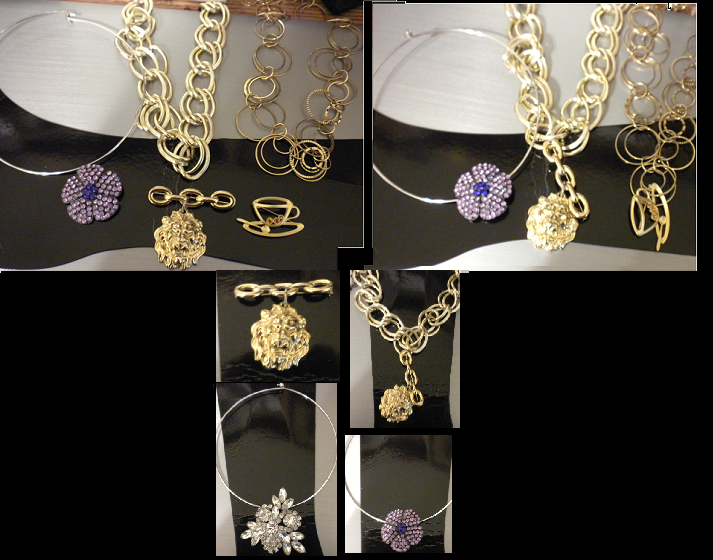 You can pin many brooches onto circular necklace holders, or necklaces with wide circles. It is as simple as pinning the brooch unto a loop, or onto the wire necklace. 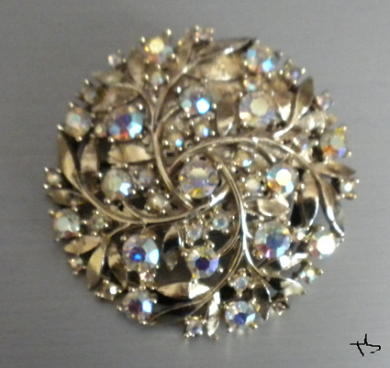 Not all brooches will look right, or be in the right direction once pinned. It is just a matter of experimenting with the pins and the necklaces. I didn't expect the lion brooch in the photo above to look good on a neck chain, but I was pleasantly surprised that the horizontal bar above the lion head took an interesting twist into an off slant vertical position on my loopy neck chain. The horizontal coffee cup brooch also looked great in a vertical position. Both lion and coffee cup seemed to belong on these neck chains. The round wire necklace works great with circular brooches. 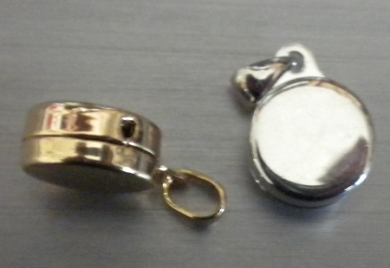 The easiest and best way of turning most brooches into pendants is to buy a pin converter. 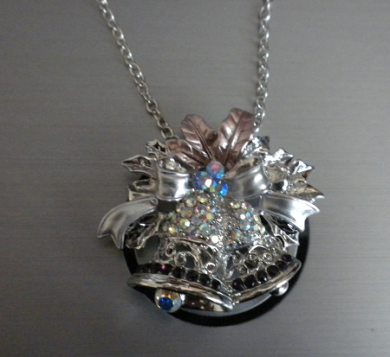 This item will turn a pin or brooch into a necklace.